David Montgomery and Brian Peavy are officially All-Americans. The pair were named first-team All-American selections by Pro Football Focus on Monday. This is Montgomery’s second straight season appearing on the team while it is the first for Peavy. 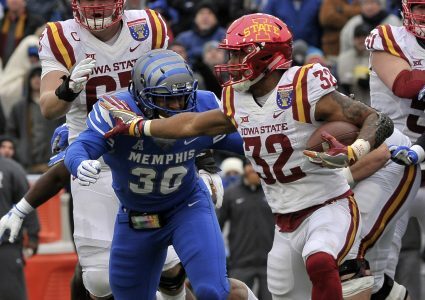 Montgomery has rushed for 1,092 yards and 12 touchdowns this season while essentially playing in only 11 games due to an ejection, subsequent suspension and missing one full game due to injury. 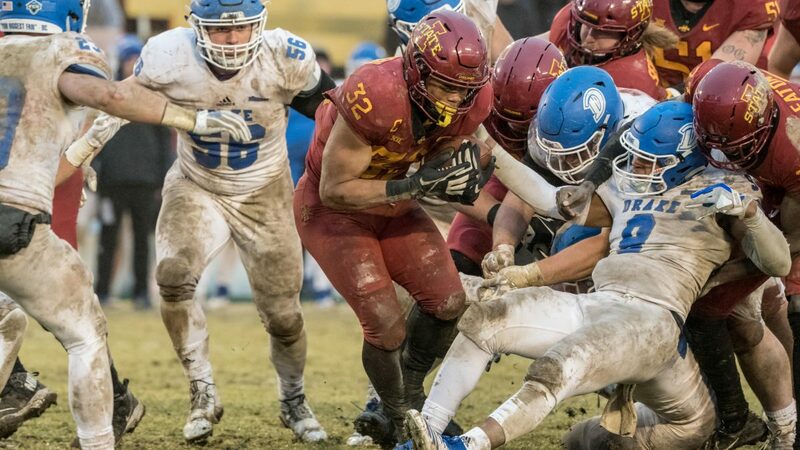 His 2,801 rushing yards through three collegiate seasons is good for seventh all-time in program history and he becomes just the fourth two-time All-American in Iowa State football history, joining Dave Hoppmann (1961, 1962), Tracy Henderson (1983, 1984) and Troy Davis (1995, 1996). 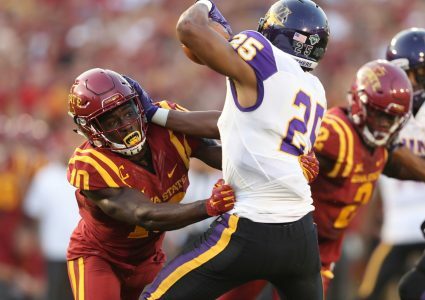 Peavy caps his Iowa State career with his first All-American distinction after solidifying himself as one of the best cover corners in the country. Peavy has recorded six interceptions in his career and is one of the NCAA’s active leaders in pass breakups. 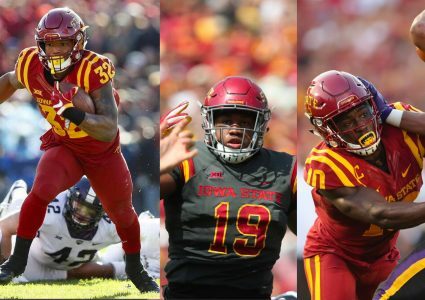 He has quietly been tremendous for Iowa State during the past two seasons, but it is hard to make too much noise when teams are scared to throw the ball your way.